This, the first Blyth Power vinyl release, was recorded cheaply in a mobile studio plugged into a basement rehearsal room in that part of Notting Dale once known as 'The People's Free State of Frestonia'. Produced by Grant Showbiz, it exhibits all the naivety of a band with little recording experience. 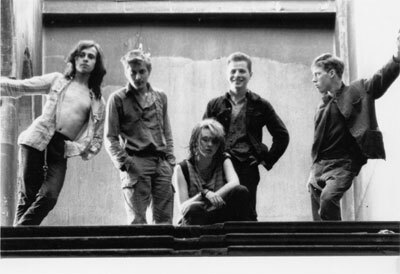 By virtue of its being a waltz, the title track was single-handedly responsible for the band being labelled 'folk-punk'. Hmmm.